The smart tag allows you to change the control styles, save/load its layout and edit its items. New Theme Manager: Adds a new RadThemeManager component to the form. Edit UI elements: Opens a dialog that displays the Element Hierarchy Editor. This editor lets you browse all the elements in the control. Theme Name: Select a theme name from the drop down list of themes available for that control. Selecting a theme allows you to change all aspects of the controls visual style at one time. 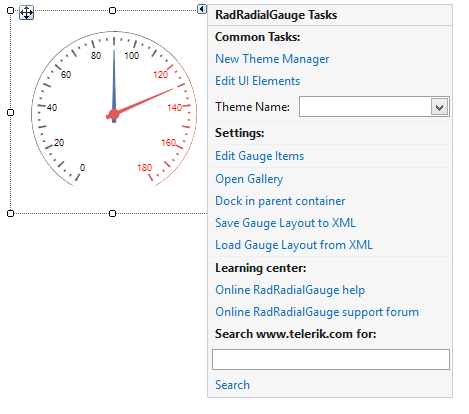 Edit Gauge Items: Opens the RadItem Collection Editor populated with each of the gauge items. Open Gallary: Opens the gallery with available graph designs. Dock in Parent Container: Docks the control to its parent. 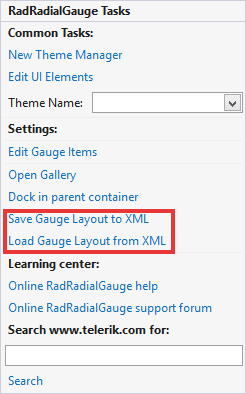 Save Gauge Layout to XML: Saves the control`s layout to XML. 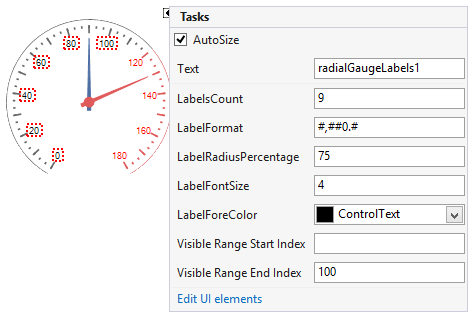 Load Gauge Layout to XML: Loads the control`s layout from XML. Learning Center: Navigate to the Telerik help, code library projects or support forum. Search: Search the Telerik website for a given string. Additionally, you can perform some modifications to the gauge elements and save the constructed layout via the Save Gauge Layout to XML option. Afterwards, you can add an empty gauge and load the stored layout via the Load Gauge Layout from XML. 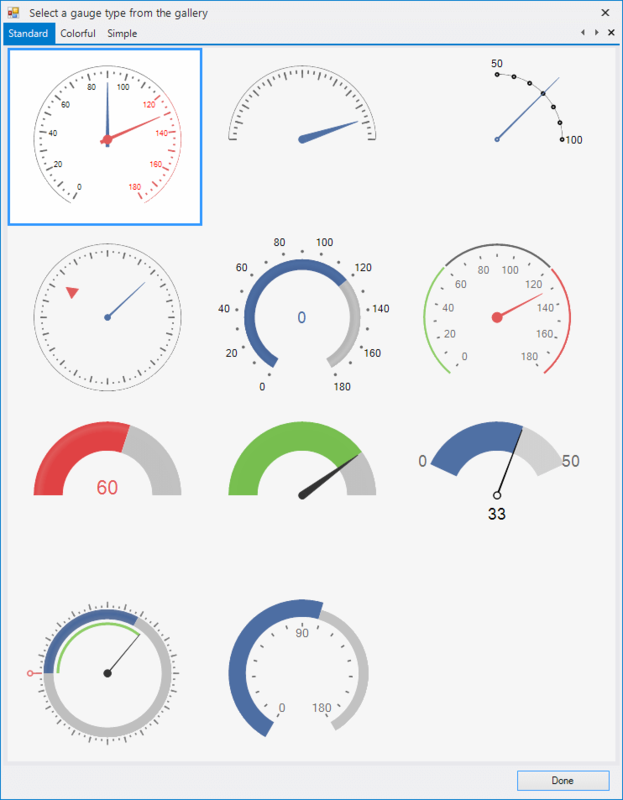 The RadRadialGauge control supports precise design time selection of the gauge elements in order to customize the selected element.